We had the oxygen supply company come out the other day to look at our pulsox machine. It worked fine while they were here, OF COURSE. But I was confident enough that she was doing BETTER than what the machine said (given our SAT’s at the Dr office of 97 while the machine said 91) that we let her go for a little trial off oxygen yesterday. My plan was just to do an hour, but she was doing SO GREAT, we kept her off for over FIVE HOURS! I put it back on not long before bed time. So this morning, I turned it back off. So far, she is satting between 92 and 95, which is just fine for her! Can we make it a whole day without oxygen??? Check back in tomorrow to see results! 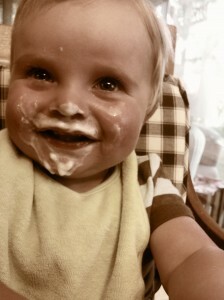 Baby Bowen is turning one TODAY! Happy sweet birthday little man!! You’ve done an AMAZING job and are such a little heart warrior for Jesus! And Baby James. 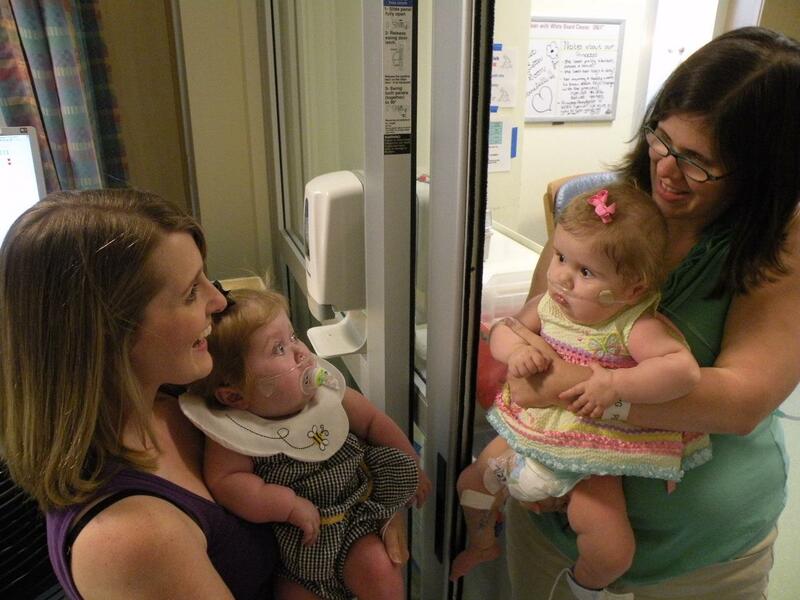 Baby James was Anna Reese and Annabelle’s heart friend at Vanderbilt. The three of them (or should I say, us three momma’s) were really close and leaned a LOT on each other during those super hard months of fighting for the lives of our babies. 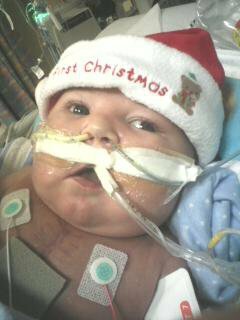 Baby James was born on September 13, 2010, and went into the arms of Jesus in December, just shy of his 3 month birthday. But I celebrate the LIFE he DID live this month, celebrate his memory. And then I’m reminded this month, of a little baby girl (Scarlet) in California, waiting for a heart like Annabelle did, however her time of waiting is dwindling, and without a new heart (or a miracle of God, which I NEVER discount!) she won’t make it much longer. Please pray that God’s hand would be on this family, that His will WILL be done, and for possible donor families. We don’t pray that another life be taken. However, we do pray if a potential family does come available, that they could make a very difficult choice to give life out of their suffering and loss. It is so very hard, but God knows. He really does. How exciting that Annabelle made it five hours without oxygen yesterday. I love hearing about her progress. In tears and in prayer for Scarlet and her family, as well as the family of James. So glad your precious girl is doing so well. Be blessed. Hooray for the oxygen news! And happy birthday to the other little sweeties. Yes! So glad to hear Annabelle's oxygen sat's are staying high while off the oxygen. May you be "oxygen-free" soon. We'll be praying for that. What, wonderful, wonderful news!! I LOVE reading these posts! And that picture of the two Annies is just too adorable!